The interesting packages ranges from Sarawak Malay Heritage to Sibu Melanau Heritage tour. 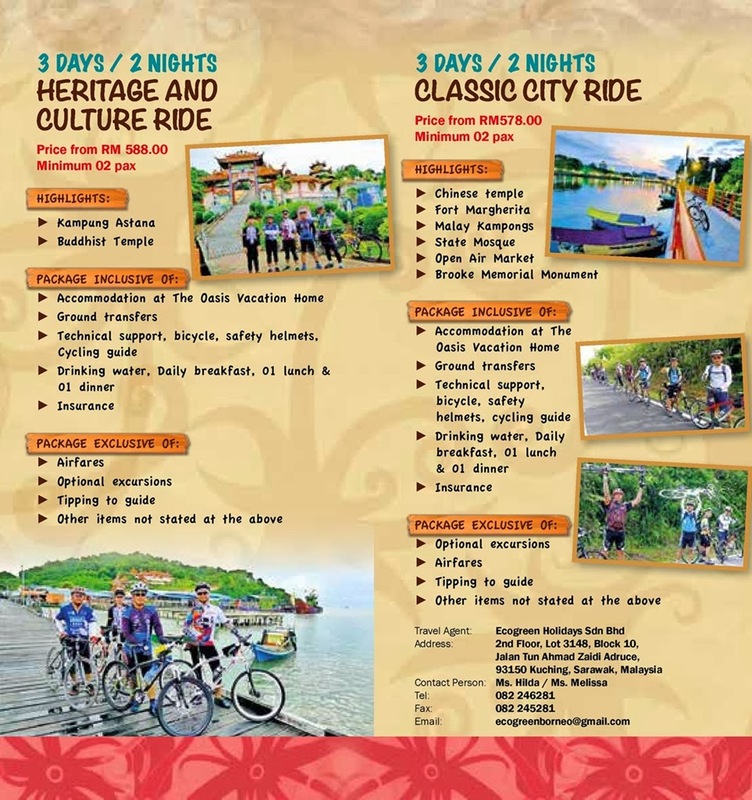 For the cyclists, there are the Heritage and Culture Ride and the Classic City Ride package. Sarawak is about adventure. Immerse in the unique Lost World Adventure experience in the Padawan Highlands or combine scuba diving with caving adventure. One package is called Oil Town Underwater World and Caving Adventure with Homestay Experience whilst another is simply called Caves, Caves and More Caves.You can purchase these and more at the Sarawak Tourism Booth from our nine (9) consortium partners. To extend the value of your purchase, you will stand a chance to win tickets to Rainforest World Music Festival, Borneo Jazz or Asia Music Festival. Naturally, this offer is only given during the fair. Here are some samples of the Kayo-Kayo Sarawak packages.